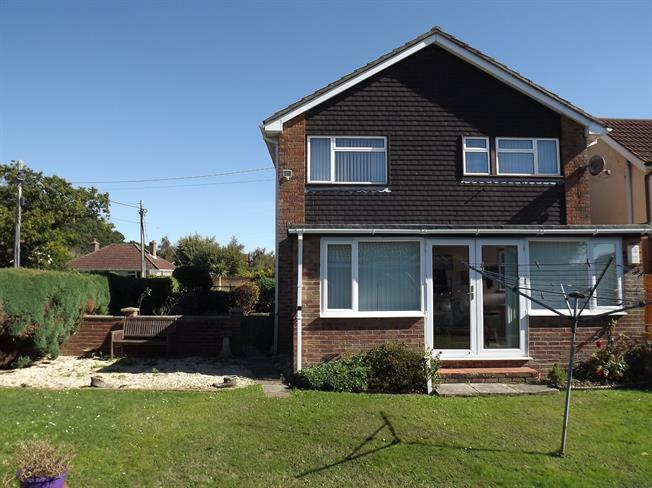 3 Bedroom Detached House For Sale in New Milton for Guide Price £459,950. A detached family house built in the 1960's on corner plot with potential to enlarge/redevelop subject to planning. It offers a spacious entrance hall with porch and ground floor cloakroom, generous lounge with fireplace, dining room, kitchen/breakfast room, large sun room, three bedrooms including a large master bedroom with en-suite, separate second bathroom with separate wc, airing cupboard, generous landing, gas central heating and uPVC double glazing. There is an enclosed front, side and rear garden with gated access down both sides plus there is a large garage building including two garages and a workshop.